Thousands will converge on Washington, DC, this weekend for a first look at the new Martin Luther King, Jr. National Memorial. The 30-foot-tall granite statue is now open to the public. A formal dedication ceremony will be held Sunday, August 28th, the 48th anniversary of Dr. King’s “I Have a Dream” speech, delivered during his famous 1963 March on Washington. “The IAM salutes Dr. Martin Luther King, Jr., his legacy and his dream,” said Diane Babineaux, IAM Chief of Staff to the International President. “We welcome his presence on the National Mall as his memorial befittingly sits between two of our country’s most historic freedom fighters. To his left is the Lincoln Memorial, a tribute to the president who freed the slaves and where Dr. King gave his famous speech. And to his right sits the Jefferson Memorial, a tribute to our former-president and author of the Declaration of Independence. 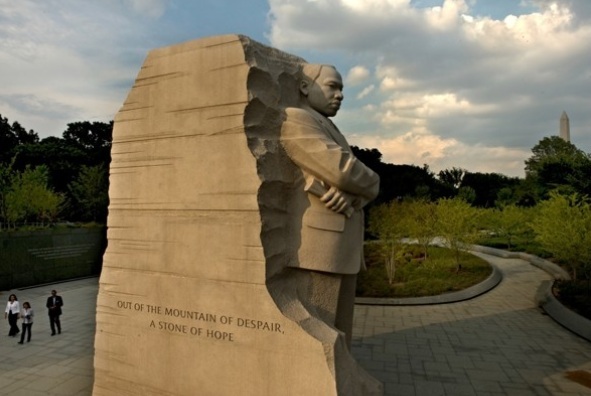 For more information on the new MLK National Memorial, click here.